Partners in crime Ogi Gee Cash & Dimiz aka `dont` always strive for quality and perfection in the music they love most. They’ve formed electronic music scene with quality DJ & Live performances, their show at Proton Radio, authentical music production and remixes, as well as their labels (they are owners of Balkan Connection Records and several more sub-labels) on which they’ve discovered many, now well known and respected producers. Their project `dont` comes as highlight of two decades long career, and the music they release have found it’s place in Beatport’s top, as well as in the playlists of some biggest names in the world of electronic music. Big experience and creativity culminates after huge success of S.A.R.S. band and their song “Budjav Lebac” (Moldy Bread) which has acquired over 10.000.000 views on YouTube. `dont` in collaboration with S.A.R.S. brings something completely new! 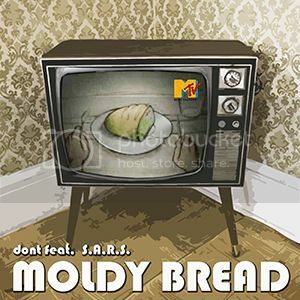 Moldy Bread has very powerful and fresh sound, great vocals, funky guitars and bass, warm piano and violins, rhythm that has a power to move every dancefloor. It’s a fusion of pop and house music with the elements of disco, funk and reggae. Next to Original Mix release will include dub mix as well as deep nu-disco version. Official release date is February 3rd 2014 exclusively at Beatport ( http://www.beatport.com/label/dont/13431 ), two weeks later the release will hit all online stores! [DNT032] ''dont feat. S.A.R.S. 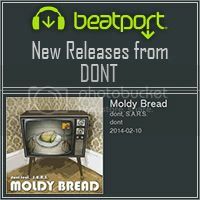 - Moldy Bread'' Out Now!!! Next to original, release includes one more strong version in which abound house music! An exceptional blend of old and new school, in genres of deep house, nu disco and overtones of future garage, DJ friendly arrangement, all in favor of good fun in the club! Release Date: February 10 2014 exclusively at Beatport!! !